This entry was posted in Reviews and tagged books, movies by Chris. Bookmark the permalink. I totally agree with this, Chris. Lots of mixed feelings but a good enough time. One minor correction – the fifteen birds in five fur trees fight sequence doesn’t take place in Mirkwood – it’s still on the slopes or near the Misty Mountains, pretty much right outside the goblin gate. Because remember, they go to Beorn’s place next and hear about how dangerous Mirkwood is, and then head on in without Gandalf. I personally missed the talking animals. I mean, I liked that the wolves were this own, separate intelligent group that the company stumbles upon and then the wolves team up with the goblins. Likewise, no talking eagles. Presumably Beorn’s house won’t have animals standing on their hind legs serving food. I totally get why Jackson didn’t do that stuff – it’s much more fairy tale than his take on middle earth. But I liked the idea of the different animal species as their own cultures – spiders too. Regarding the second bullet point — it seems pretty clear that in movie-land there is no Elladan or Elrohir. Given that Arwin takes Elrohir’s role in the movie of the Fellowship it would have been cool to see HER out on an orc-hunting expedition… but within the bounds of what had already been defined, I feel like Elrond was the next best choice. Chris, I also saw the movie. As a lifelong Tolkien nerd I was almost offended by this movie. Like you I found many of the departures from the story unnecessary and added little to understanding the book. In fact, if anything, they made a simple children’s tale much less comprehensible to . . . children. Jackson did a great job with the special effects-I actually thought the stone giants were kinda nifty. I’m sure I will see the other movies, but truly I was on the edge of walking out on this one. 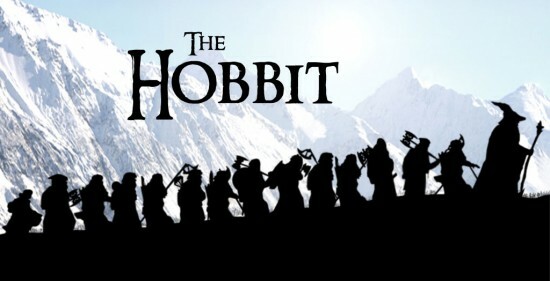 Though I admire his effort, I feel we’re creating the Middle Earth of JRR Tolkien and the Middle Earth of Peter Jackson. They share many elements, but they’re not quite the same. With young people reading less and less, which will be the version they remember? Glamdring didn’t glow in Fellowship, either, so it is consistent that it didn’t here. IIRC, they said they wanted to make that ability unique to Sting, and simplify the special effects. I think Glamdring got used more than Sting, after all.